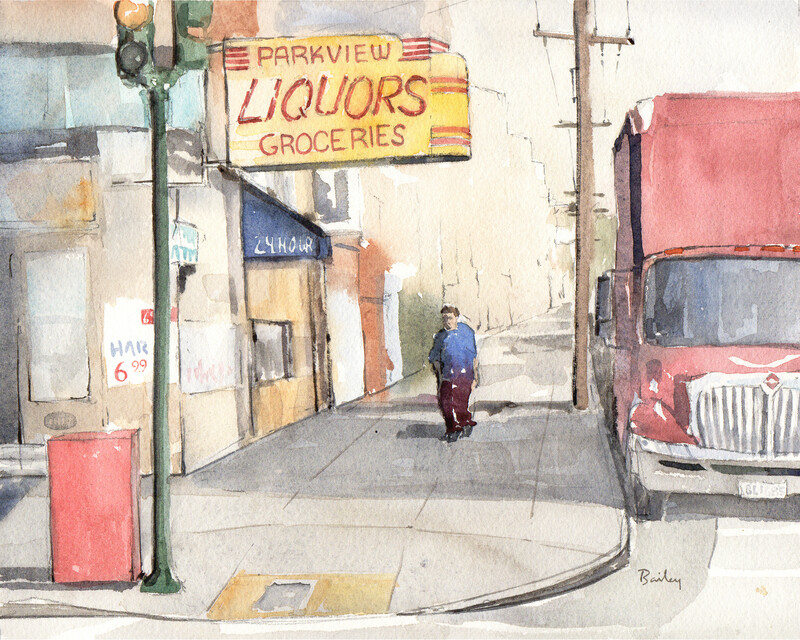 This entry was posted in Watercolor and tagged Art, Creativity, Drawing, Painting, San Francisco, Urban Art, Watercolor by theartofbrian. Bookmark the permalink. such great advice for a newbie like me! Thank you Brian! Thank you, I think it’s awesome to be a part of a community where people can help and inspire one another! Very wise words, Brian. Most of us are always playing that fine line between too much or too little. I like this composition of the lone figure walking from light to shadow to light again.